New case renders of the upcoming OnePlus flagship phone, the OnePlus 7 have leaked online. A few week backs, the first set of renders was seen online which revealed a few facts about the phone like the pop-up selfie camera. The new set of leaks which has surfaced online doesn’t bring any novelty-filled crunches to the table but only reiterates the previous facts. Some of the features of the OnePlus 7 which are teased by the new renders include the pop-up selfie camera module, thin-bezel display, and triple rear camera setup. The absence of the 3.5mm headphone jack on the cover has also been noted as was the case last time thus solidifying the hints about no headphone jack in the upcoming phone. The new leak comes from the B2B Chinese e-commerce site DHGate.com which also revealed some of the insights about the design of the upcoming OnePlus phone. 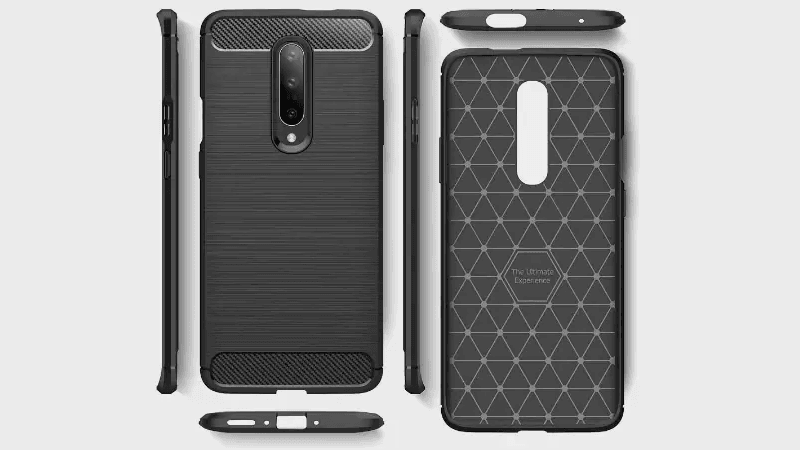 As per these case designs, on the rear side, the OnePlus 7 will sport the triple camera setup which will be vertically stacked along with a LED flash on the bottom. On the upper edge of the phone, the main highlight of the case is the cut-out for the pop-up selfie camera module. On the bottom edge of the case images, we noticed the cut-out for the USB Type-C, speaker grille and two cut-outs for microphones. The renders on the Chinese site don’t only, but some of the images also come with a dummy OnePlus 7 wrapped in the case which also gives us some hints about the device. There is an evident hint towards the pop-up selfie camera, thinner bezels as compared to the OnePlus 6T and a slightly protruding triple rear camera setup. Now as it the case with other leaks, we would suggest that you take these renders with a pinch of salt. Also, it is worth noting that these leaks do not come with some of the changes like the cut-out for the SIM tray at the bottom, which is something spotted on some of the other latest renders online. Some of the other information that the company has teased about its latest upcoming phone is the processor and the absence of the headphone jack. Now, it is already talk of the town that the OnePlus 7 will sport the top-end Snapdragon 855 processor. This year, OnePlus will do things differently since it will not only be debuting the OnePlus 7 and the OnePlus 7T, but the OEM has also announced the launch of its 5G phone. 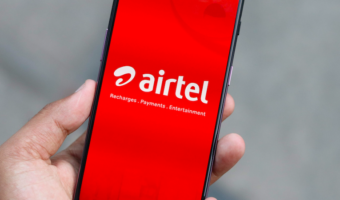 Apart from this, the OnePlus 7 is also expected to come with Android 9 Pie and a much improved OxygenOS.